The KPMG Ace the Case is a great way for students to connect with us early in their pursuit of a successful career.. 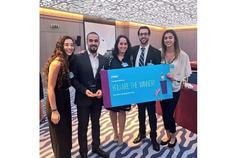 Team NDU won the national finale for KPMG Lebanon Ace the Case Competition (ATC).. Under the title of "We Live by Giving", KPMG Lebanon employees volunteered to help Pere Majdi Allawi in providing food and necessities for.. 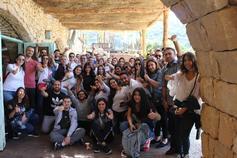 Under the title of "We Live by Giving", KPMG Lebanon employees volunteered to help..
KPMG Lebanon Family day out at Arnaoon Village.